The End of the world is coming yet Marley doesn’t even know what she is much less what she can do. A new urban fantasy series from the award-winning screenwriter of ground-breaking BBC TV series Spirit Warriors. With the First Seal broken, Marley and the girls finally learn what Michael is up to… and it isn’t good. Christian is more determined than ever that they put a stop to him but is avenging his mentor more important to him than the girls’ own lives? 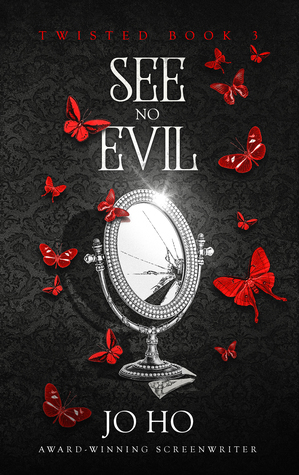 While the others try to deal with their issues, Marley has some big problems of her own: specifically, the terrifying ghost that keeps coming after her until Marley decides to take drastic measures in a bid to drown out all of her unwanted visitors, a move which ends up leaving her in terrible danger. Fans of The Mortal Instruments, The Vampire Diaries, and Pretty Little Liars will love this thrilling new series. Just like your favorite TV series, Twisted consists of many episodes. 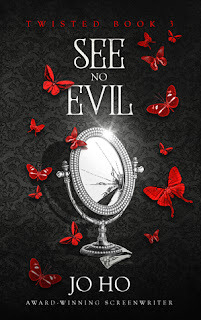 See No Evil is episode 3. A new episode will be released every eighteen days! Free to read on Kindle Unlimited. Things are heating up! This episode has the girls all over the place, but still not really coming together as a team. The characters are still uniquely individuals and the story keeps rolling along. I start reading and I don't tend to stop until I reach the cliff hanger that is sure to come at the end of each one of these episodes. Without knowing just how long this title is going to be once all of the episodes are going to be released, I'm a bit concerned with the pacing. Since I don't know though, everything could be just fine! Still a fun read if you're into the paranormal at a young adult level. Be aware though that this is a serial so there's no telling just how many episodes and just how long it's going to take before you get the entire story. At the writing of this post, only one has been released and another four are available for pre-order. I hope that gives you some idea of what you're in for!